Smart thermostats integrate sensor technology that lets you remotely control your home temperature using a smartphone, tablet or a desktop. They are the latest trend in home heating wherein, you can use the internet to ensure that your home is ready with the perfect heating. This is especially beneficial for those who lead a hectic schedule and would come back to a home that has already prepared itself for the owner’s comfort. If you are running late for a meeting someday, there’s no use for the heater to turn on and warm an empty home. Using your internet enabled smart device (smartphone), you can time the heating with your arrival. This also applies when you have forgotten to turn off the heating and there is no one in the house of push up the switch. While smart thermostats don’t directly save you money on room heating, they do make the process more efficient. It is important that they aren’t confused with smart meters that will send you meter readings to the energy provider. 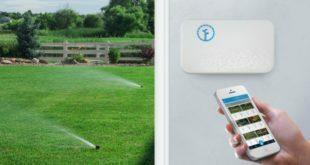 The smart thermostat is merely a connection between the home heating and your pocket device, connected to the internet. However, new age smart thermostats do provide a report on your energy usage and you can change your preferences accordingly to save on energy bills. 1 Why buy a Smart Thermostat? 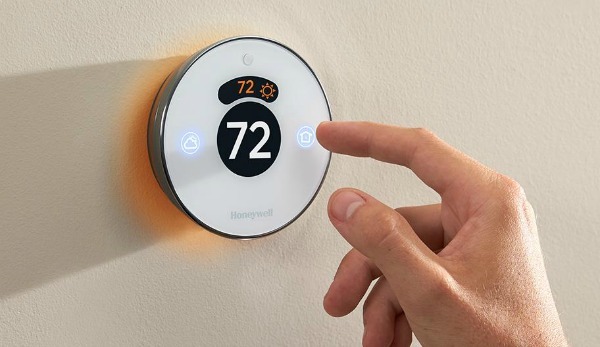 2.2 How can each of these thermostats simplify your life? 3 Which of the three Thermostats is right for me? It is necessary to understand that heating and cooling contributes to about 50% of your home’s energy costs. Smart thermostats are designed to provide users greater, and more importantly, convenient control over home heating. This goes on to save a bundle on your bills. However, there’s more to just a convenient control in your hands. Smart thermostats begin to learn your schedule and will work independently – raising and dropping temperature when you come or go. Since you can adjust temperatures from anywhere; it’s also a great way to monitor your home. Consequently, this is a device to invest in if you have a hectic work schedule. While the smart thermostat ensures that energy is saved when it’s not needed, it also makes the room feel comfortable when you are in. Before going into the critic part, it is necessary to understand what common grounds these thermostats offer. Consequently, each of the three thermostats here does the work of temperature monitoring and control pretty well. However, it is the added features and the pricing that will help you make a choice. 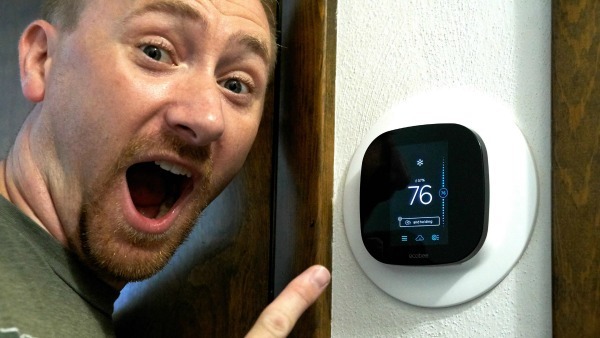 The thermostat market changed with the introduction of NEST back in 2011. Since then, several new manufacturers and product lines have entered the market. They not only win with functionality but also focus heavily on user-friendliness and looks. Now, let’s take a closer look at the unique individual specifications that each of three products brings. Nest Leaf – An energy saving mode even when the heating is on. A green leaf sign shows the most eco-friendly temperature setting. How can each of these thermostats simplify your life? The EcoBee3, available at $250, is the only smart thermostat in the market that brings in a touchscreen. Consequently, if you are the owner of a smartphone, it will also be easy to operate the thermostat. In fact, the EcoBee3 has one of the biggest screens in the market and allows for plenty information without crowding the display or inviting a specific search. The device also has a remote sensor that can be placed in any room. For those with a very big house, the sensor can be placed upstairs and connected to the thermostat. 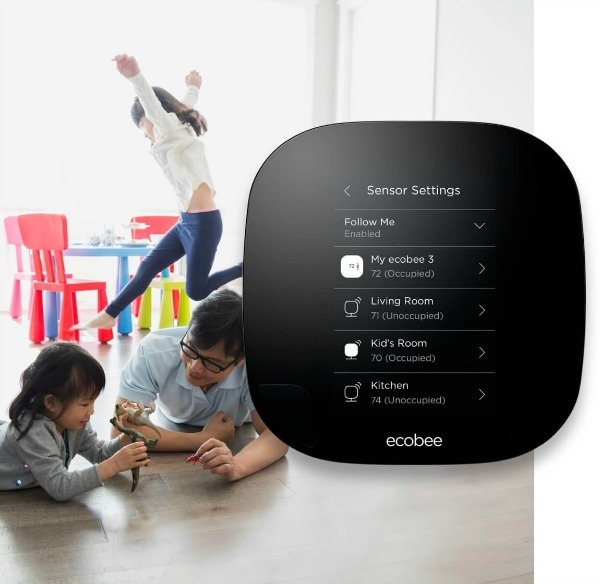 A lighter version of the EcoBee3 is also available in the market and costs just $17, making it the most affordable option you will get. 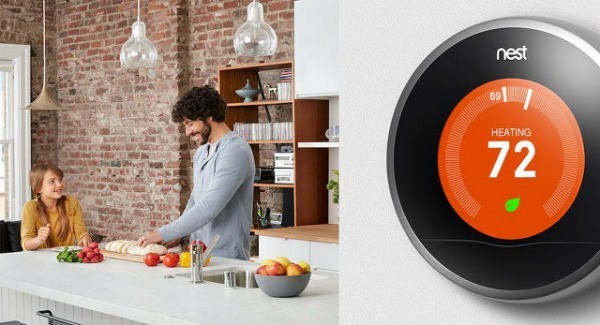 NEST is the brand that had introduced the smart thermostat trend into the market. The NEST 3 is also one of its most popular products to date. The device, priced at $250, presents a striking design, conceptualized by Tony Fadell, the same man behind the design of the first iPod. The popularity of NEST attaches some significance to this too! The best feature of the device is, however, its ability to learn the habits of the user and change temperature settings automatically. After a period of use, you won’t have to worry about any kind of control – the AI takes care of your needs. The user interface of the NEST 3 is also quite easy and is perhaps the easiest of the three thermostats discussed here. Available at around $210, this is the cheapest alternative among the three. However, the device isn’t as popular due to its tad complicated interface and not-so-terrific design. Honeywell attempts to create a smart and sleek solution with unique features like changing screen color to suit the décor scheme of the room. It too offers a range of environmental feedback and a smart way to save your energy costs. The stand out feature of the Honeywell Wifi is, however, the scheduling settings. Once you use it, they are pretty intuitive and self-adjustable. The two things that make EcoBee3 a big hit are its huge screen and the remote sensors. Screen Advantage – Measuring 3.9”x 0.9”x3.9”, it’s the biggest screen for a smart thermostat you would get in the market. The Honeywell Wifi comes close but falls short by a few inches. A bigger screen consequently offers a host of controls, all within on-tap reach. Using the intuitive touch screen, you can easily control settings for wireless room sensors, smart recovery, AC over cool to dehumidify, Free Cooling, smart home/away, follow me, optimal humidity, fan dissipation, alerts and reminders, home IQ, and other robust staging options. Using dozens of different data points, you can not only create a perfectly comfortable home environment but also save on energy costs. Further, free energy reports right on the screen allow you to review your consumption and take necessary actions. Remote Sensors – Remote sensors with EcoBee3 are designed to “deliver comfort to the rooms that matter the most”. 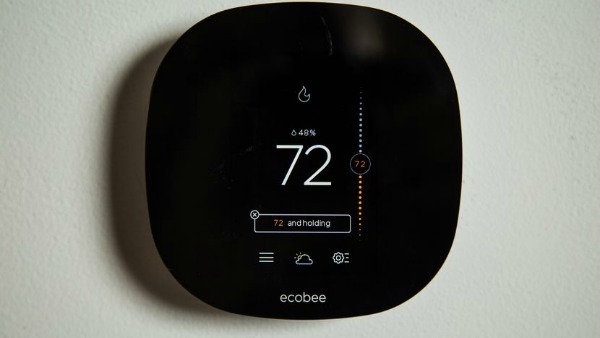 While most sensors will read the temperature at a certain place in the house, EcoBee3 sensors can be placed all over and each of them individually takes care of the temperature. 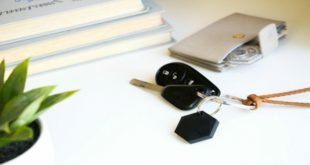 These sensors also detect motion and presence and act accordingly, consequently helping you save money. Each of the sensors also learns the different temperature preferences of the average owner of the room and sets the settings accordingly. So, everyone is comfortable in their own space with EcoBee3! This is especially true if you have a large multi-storied house but with a singular HVAC system. There can be big differences between temperatures in each room. While you can have up to 33 sensors attached to your EcoBee3 hub, each works independently! The NEST 3 thermostat truly defines “smart regulation”. The best thing about this device is its intelligent software and the futuristic design. Self Learning – Once you have installed NEST 3 smart thermostat in your house, it will take just about a week for it to work independently and without you needing to intervene. The software is made solid and does a great job of keeping you comfortable with little or no input. In case, you would like a change from the usual, you can always pick up your smartphone and put in the commands. It maintains energy efficiency in your home by “learning” your habits and schedules. Every adjustment that you make to the dial goes into an algorithm database and aims at you having to make fewer adjustments in the future. NEST 3 will learn if you would like to sleep cooler, wake up a little warmer and subsequently set the temperature. You will no longer have to worry to turn down the thermostat when you are really sleepy! Everything is automatically taken care of. The Design – As already discussed, the design of the NEST 3 comes from the same man that designed the first generation of iPods. Conceptualized by Tony Fadell, it’s a very futuristic look. The thermostat gets a beautiful Touchscreen and a rotating bezel that helps you with the initial temperature changes. The rotation is also a very pleasant experience and you will get back to the thermostat to check the weather or just admire the design. The look is highly satisfying and is another reason why this is the most popular smart thermostat in the market. The Touchscreen presents very intuitive and actionable feedback. Out of these three, Honeywell Wifi is the product with the lowest rating. Apart from a big touch screen that you can adjust to the color scheme of your room, there are several features that the device lacks, such as the capability to learn routine and more. In simple terms, it’s not as smart. 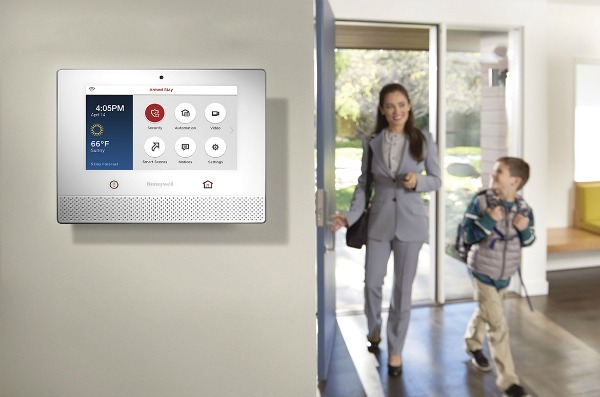 The Touchscreen – The only good thing about Honeywell Wifi is the big and highly intuitive screen. With this thermostat, you need to do everything via the touchscreen. Consequently, there aren’t any fiddly buttons to understand or handle. If you have been using a smartphone for a while now, it won’t be a problem using this too. Though the overall look isn’t as sleek as that of the NEST 3, it isn’t too bad either. Some might even say it to have a “space age” look! Another unique thing about the screen is that it will change its color scheme according to the color of the room. So, if you are putting up the Honeywell Wifi in a blue-red themed room, the touch screen will also put up a red scheme. The default color of the panel is silver but it will blend in with just about anything. The touch buttons are big and the sensor is fairly responsive – you cannot expect anything better – at least when it comes to the screen. Which of the three Thermostats is right for me? When it comes to choosing a thermostat, the reasoning is pretty simple; your choice will be completely dependent on your needs and lifestyle. Budget is not a great factor here as all the three come in the same price range. Honeywell is a little cheaper but then, it doesn’t offer any unique set of advantages too. You can comfortably narrow down your choices to the rest of the two products – EcoBee3 and NEST 3. Next, comes your exact requirements. Of course, you will not be alone in the house. If you have a big home with several rooms, EcoBee3 will be a great choice. With several sensors fitted in all parts of the room, the optimum temperature will be separately maintained for each of the rooms, according to the needs and preferences of the users. Things like smart occupancy detection, motion sensing and more will also ensure that you save the maximum on energy bills by optimizing HVAC usage. The primary reason why you choose the smart home concept is flexibility. For this very reason, the brands keep developing their products and continuously strive to create better ones. 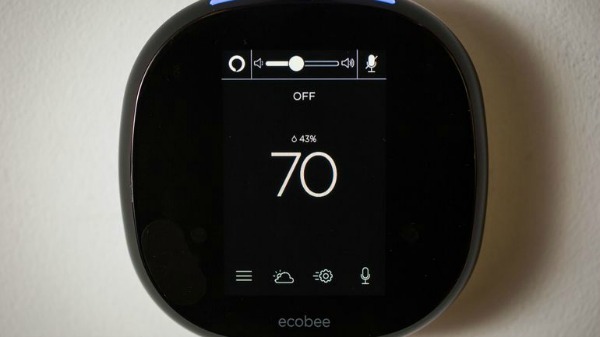 Two such latest entrants in the smart thermostat market are Ecobee4 and Honeywell Lyric Round 2.0. Ecobee4 has taken the world of home improvement to another level with the Alexa integration. The feature has added much of brand recognition, and people are likely to turn to its technology with more products of this kind. 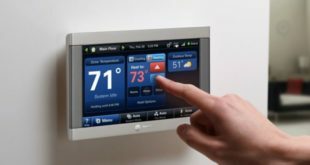 On the other hand, Honeywell has come up with an energy efficient option and has the best of thermostat features to offer. Let’s go ahead and explore both of them in details! Ecobee4 can make waves and is the first smart thermostat that acts like the Amazon Alexa speaker. You’ve already read about the Ecobee3 above, just know that this is just an upgraded version with the Alexa capabilities. The product sets your desired temperature for different rooms and uses sensors to detect and adjust the temperature. The sensors figure out the number of people in the room and level of humidity. Like all others of its type, Ecobee4 has a companion mobile app that operates even if you are not at home. So, you can adjust temperature being miles away. You can find a detailed comparison between all Ecobee models here. With the Alexa integration, people find this more successful and useful. The product has become simpler with the voice assistant. LED light is not just a great visual addition, but it lights up automatically when you say ‘Alexa’, and is ready for your next command. 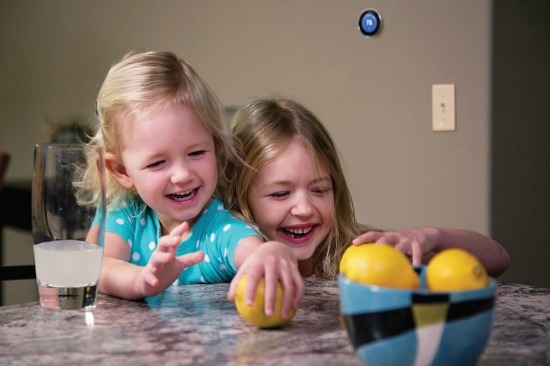 With voice recognition from a distance, it works similar to Amazon Echo. You don’t need to come near it to let it hear you out. With the quality microphone and speaker, it can catch your voice from far. There is a speaker located at the back of the product that lets you play music and responds to your questions. If you decide to not use voice recognition, the LED light turns red and doesn’t switch off. This can be a problem, especially when attached to a bedroom. 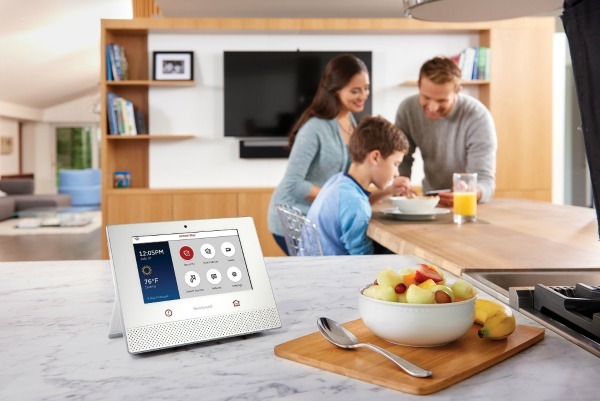 After the not so successful first-generation Lyric introduced in 2014, Honeywell developed a better product and released it as their second-generation model. It is a stylish round appliance that comes with a large glass display and has many sensitive buttons, and one control wheel. The product is compatible with a broad range of HVAC hardware and that includes a single and multi-stage for heating and cooling. It has heat pumps with or without auxiliary heat, 24V gas fireplaces, humidifiers, dehumidifiers, geothermal and hot water heating, and ventilators. Honeywell not only costs less but also saves energy compared to most other products. It is easy to fix and schedule the product. It is also easy to control through the app. The product has some of the best features that you can expect out of an ideal thermostat. 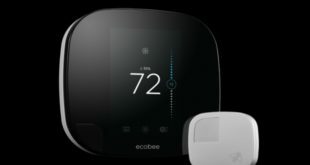 Coming to the big picture, the Ecobee4 clearly takes the legacy of Ecobee3 ahead. With added features and just a slight increase in price, this is easily the best smart thermostat available on the market today. Do you think we missed something in our review – Ecobee3 vs Nest 3 vs Honeywell WiFi Thermostat? 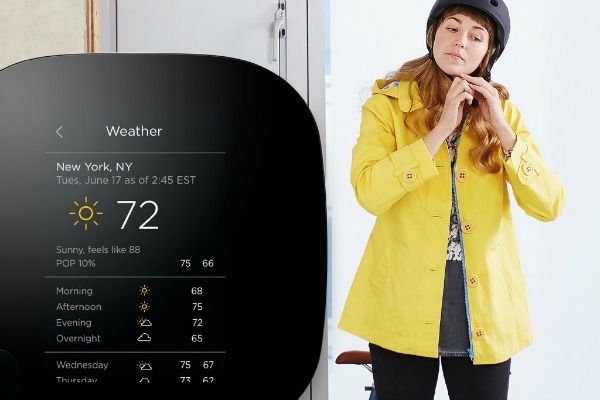 Let us know what you think about these smart thermostats. We’re always keen to hear you out!